9 days before your first birthday..
9 days to go until your 1st birthday. You are turning out to be a special boy. Who else do I know that goes to bed at 4:30pm and wakes up at 7am? No one! You still hardly ever sleep during the day unless it's on a long car journey. We have accepted that you don't really seem to like naps and are a stubborn, active little Taurus! 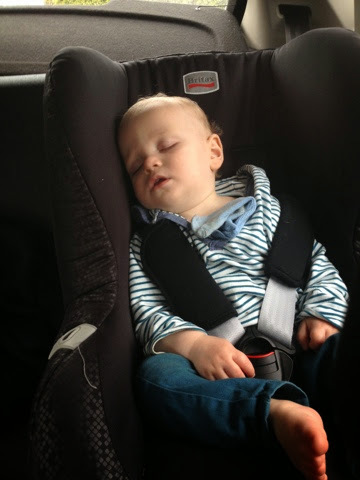 The other weekend you moved into a grown up car seat and your face was quite a picture when you realised you could see mummy and daddy and the trees and lamp posts whizzing by. This is not daddy's finest example of a blog but just to let you know I am thinking about you and proud of you. Keep smiling, son.